It really shouldn’t surprise you at all, but I’m just putting it out there. I LOVE icebox pies. LOVE them. Actually, I love them so much that I purposely do NOT make them too often here in the summer, because I really have no self-control when they are in my fridge or freezer. It’s sad, really. Anyway, my resolve was broken a couple weeks ago when the man and I ventured out for a little anniversary dinner. On top of a great meal, we decided to split a dessert. It was an incredible Key Lime Pie made on the premises. 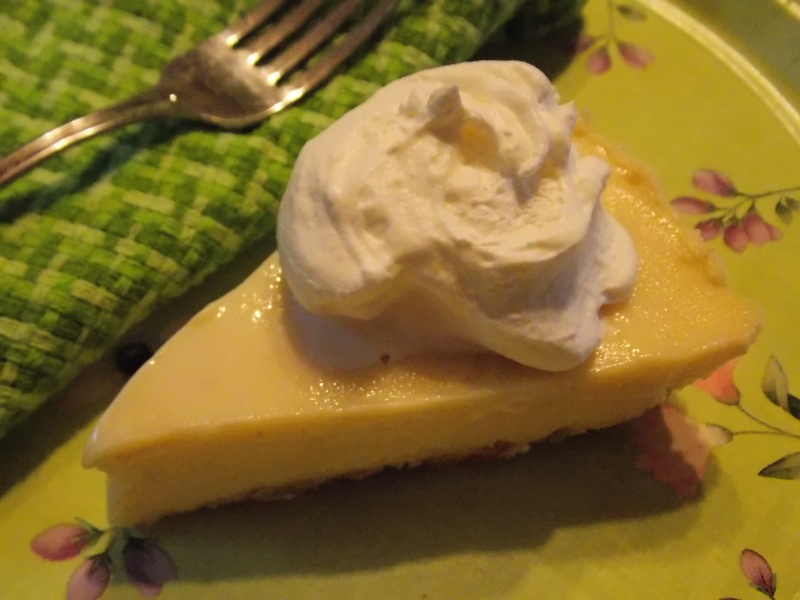 Well, that whetted my appetite for a good icebox type of pie, so I went a-searching for a good Key Lime Pie recipe. I came across a few on allrecipes.com, and sort of came up with my own little version, based on what I saw there. It’s an easy one for sure, and it turned out pretty darn tasty. Luckily my kids and man were into it too, so there wasn’t much left to tempt me. Preheat oven to 350 F. Mix all ingredients well, then pour into crust. Bake for 8-10 minutes. Allow to cool completely, then place in freezer for a couple of hours. Serve with whipped cream, and if you want it to look all fancy-like, add a slice of lime as a garnish. 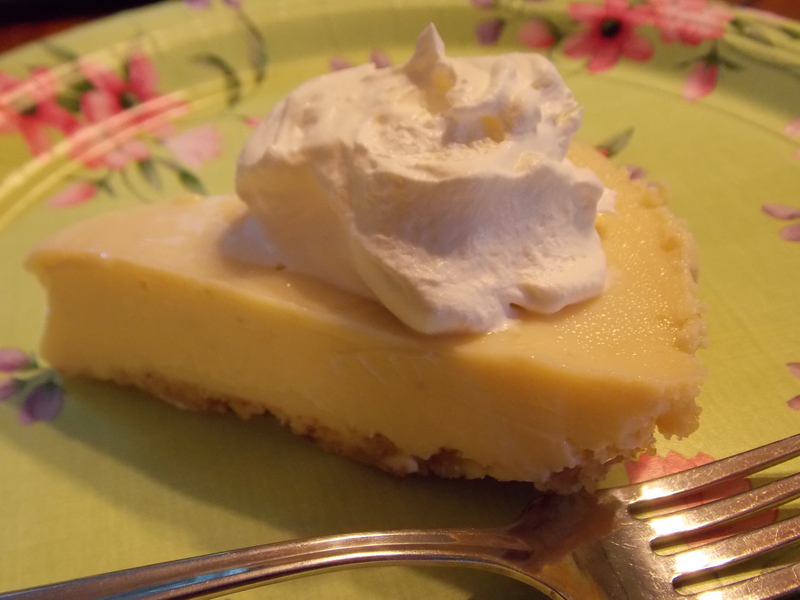 I also LOVE key lime or lemon ice box pie – actually if you get between me and that pie, just hope I have a plastic fork – I love them that much. Just kidding, I do share.